“We aim to build the evidence base for treatments that are effective specifically for children with epilepsy,” says William D. Gaillard, M.D., chief of Child Neurology, Epilepsy and Neurophysiology, and director of the Comprehensive Pediatric Epilepsy Program. While epilepsy affects people of all ages, the unique way it manifests in infants, children and adolescents can be attributed in part to the complexities of the growing and developing brain. Researchers from the Children’s National Comprehensive Pediatric Epilepsy Program brought their expertise on the challenges of understanding and treating epilepsy in children to the recent American Epilepsy Society Annual Meeting, the largest professional gathering on epilepsy in the world. Dr. Gaillard was also recently elected to serve as the Second Vice President of the American Epilepsy Society. “The AES is the largest multidisciplinary professional and scientific society dedicated to the understanding, treatment and eradication of epilepsy and associated disorders, and I am honored to serve as the new Second Vice President,” he said. A preliminary study examining whether continuous EEG monitoring of neonates with hypoxic ischemic encephalopathy, or lack of oxygen to the brain, can be a reliable predictor of neurodevelopmental outcomes while the infant is undergoing therapeutic hypothermia. A preliminary review of the possible relationship between febrile infection-related epilepsy syndrome and the co-occurrence of another neuro-inflammatory condition – hemophagocytic lymphohistiocytosis. Madison M. Berl, Ph.D., is helping to expand awareness of SUDEP among patients, families and caregivers. When 4-year-old Henry Lapham died in his sleep just weeks after being diagnosed with epilepsy in 2009, it was a shock to everyone — even his pediatrician and neurologist. Henry’s cause of death was sudden unexpected (or unexplained) death in epilepsy persons (SUDEP), a condition that causes sudden death in about 1 of every 1,000 otherwise healthy patients with epilepsy. Neither health care professional had mentioned this as a possibility, as remote as it was. Now, a new collaboration with Children’s National Health System, where Henry received care, University of Virginia Medical Center (UVA) and other academic medical centers is helping to expand awareness of SUDEP among patients, families and caregivers alike. 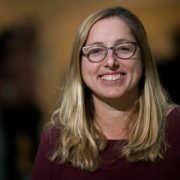 Known as Childhood Epilepsy Risks and Impact on Outcomes (CHERIO), the multiyear effort aims to develop approaches to increase knowledge about SUDEP and other conditions that can accompany epilepsy, such as attention deficit hyperactivity disorder, autism, anxiety, depression and sleep issues, according to co-authors of the Pediatrics article. CHERIO got its start in 2014 at the American Epilepsy Society annual meeting. 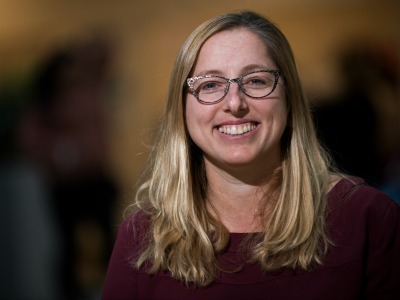 There, Lapham met Madison M. Berl, Ph.D., director of research, Division of Pediatric Neuropsychology at Children’s National, who studies epilepsy comorbidities. When Lapham asked what she could do to help raise awareness of SUDEP at Children’s National, she and Berl, along with William Davis Gaillard, M.D., Henry’s neurologist, hatched a plan. Working with multiple disciplines and stakeholders, including neuropsychologists, psychiatrists, neurologists, epidemiologists, basic scientists, nurses and parent advocates at both Children’s National and UVA, CHERIO plans to assess the level of knowledge about SUDEP and other epilepsy comorbidities among medical providers and parents and to implement ways to increase knowledge. The first item on the agenda, Berl explains, was to conduct a survey to see just how much doctors knew about SUDEP. To help make it easier to talk about this risk, the CHERIO team is developing strategies for doctors to start the conversation with patients and their families by framing SUDEP in the context of more common epilepsy comorbidities. “Clinicians walk a fine line in giving information at the right time to make people more aware,” Berl adds, “but also being realistic and giving information that fits with what’s going on in a particular child’s case. By discussing SUDEP along with other, more common epilepsy risks, it brings context to a family so that they’re not unduly concerned about death – which also can paralyze a family and create unnecessary alarm.” The risk of death in most children with epilepsy is very low, slightly higher than the risks faced by healthy children. But parents of children with complicated epilepsy who have more risk factors for sudden death should be especially aware , she says. Another way to help facilitate discussion may be through a simple tweak in the medical record, Berl adds. The team is currently developing a checklist that pops up annually in a patient’s medical record to remind clinicians of important points to discuss with patients and their families, including SUDEP. Additionally, they are working on ways that can help families become more empowered to start the discussion themselves. Materials for the waiting room or questionnaires to fill out before appointments could trigger conversations with care providers, Berl says. Last, the team also is collaborating with a medical device company that is working on a nighttime monitoring system that could provide an alert if patients with epilepsy experience nighttime seizures, a risk factor for SUDEP. Such technologies have not been proven to prevent SUDEP. Yet, it may help caregivers get help more quickly than if they did not receive the alert.